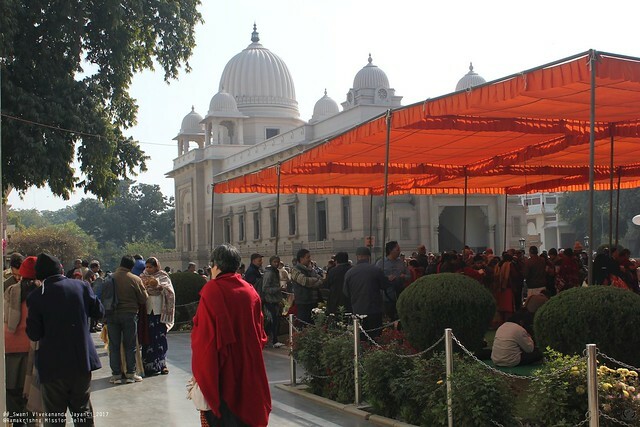 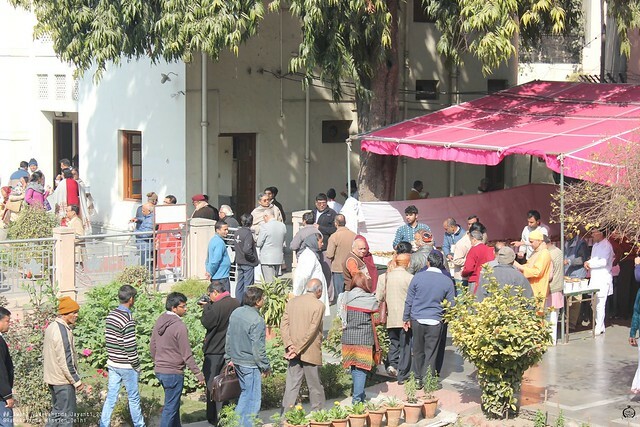 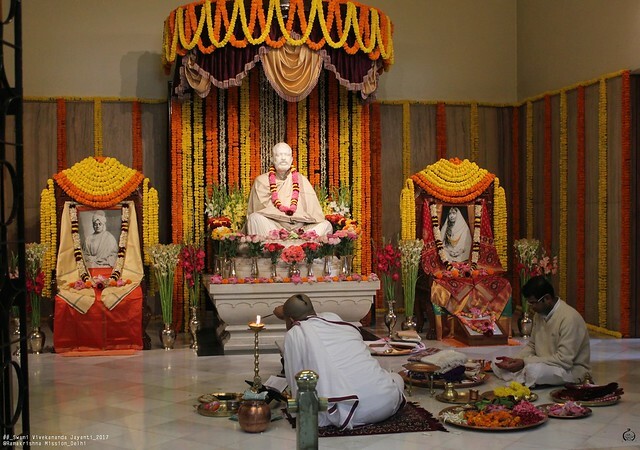 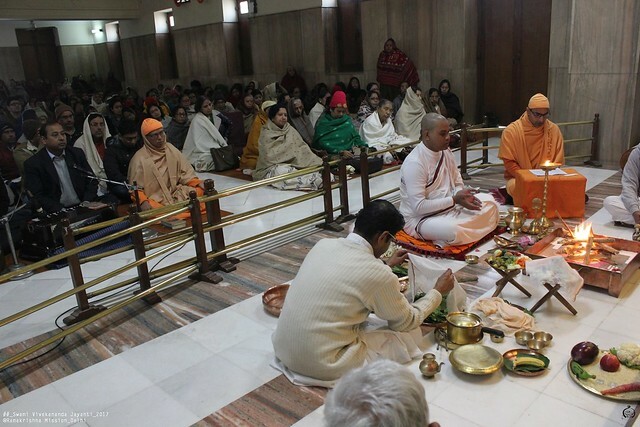 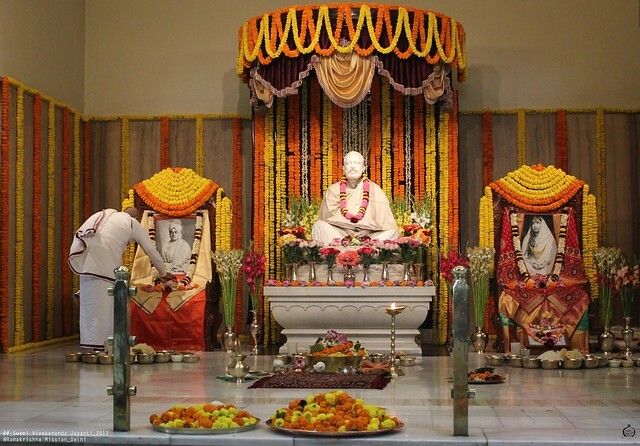 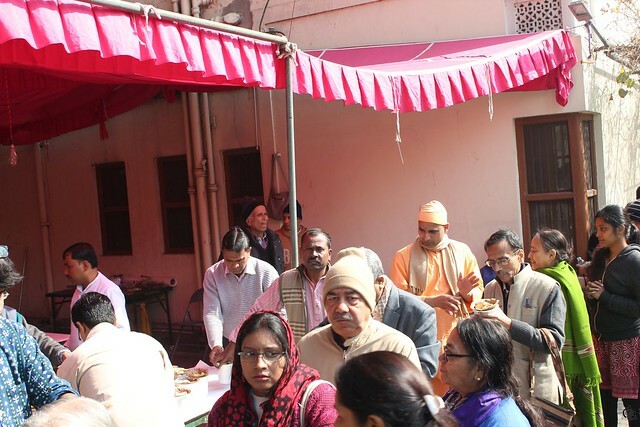 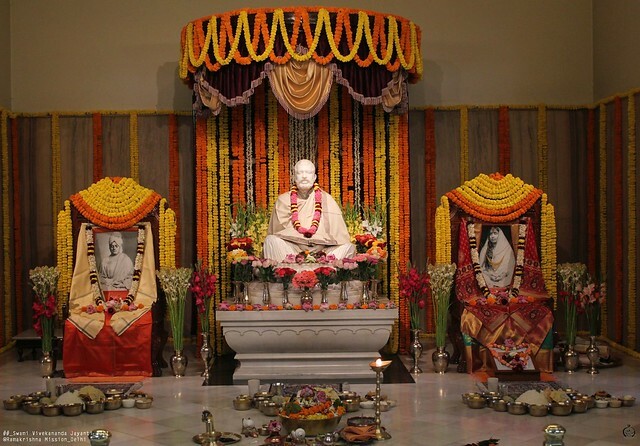 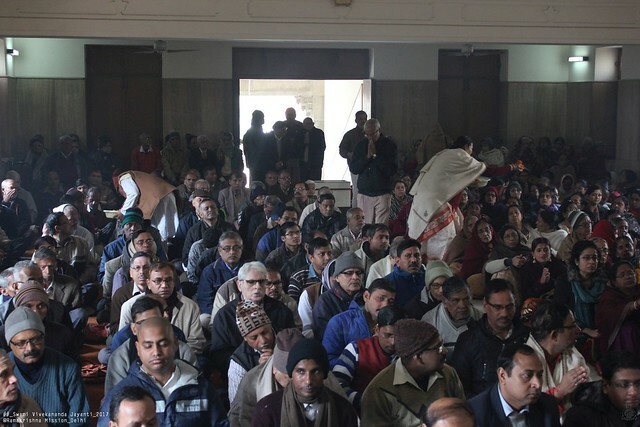 The 154th Birthday Tithi Puja of Swami Vivekananda was celebrated in the Temple of the Ramakrishna Mission, New Delhi, on Thursday, the 19th January 2017. 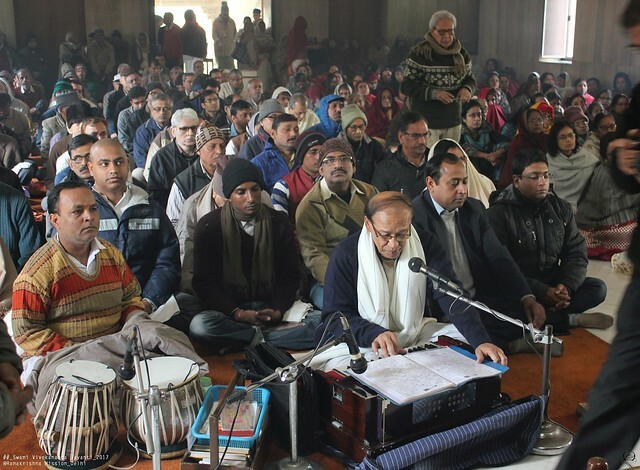 The day started with Sehnai recital (on audio cassette) at 4.30 a.m. when the gates of the temple were opened for devotees. 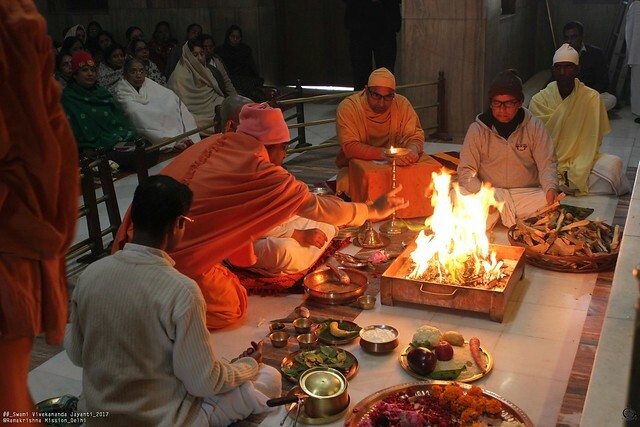 At 5.00 a.m. with the blowing of the conch shell, the mangalarati started. 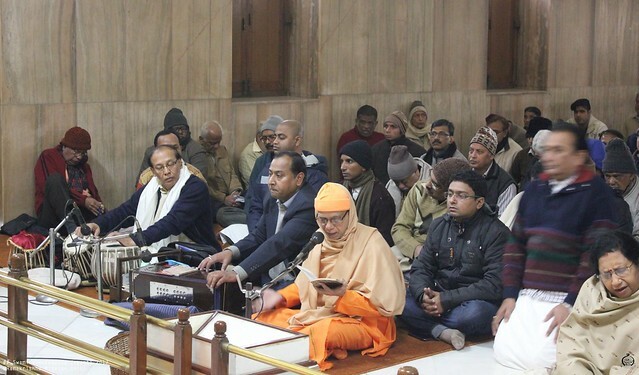 After the arati was over, vedic chanting was done by monastics of the Order. 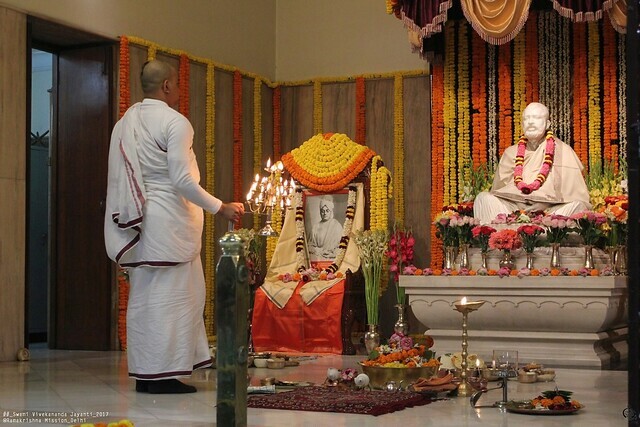 The Special Puja started and it was done by Br. 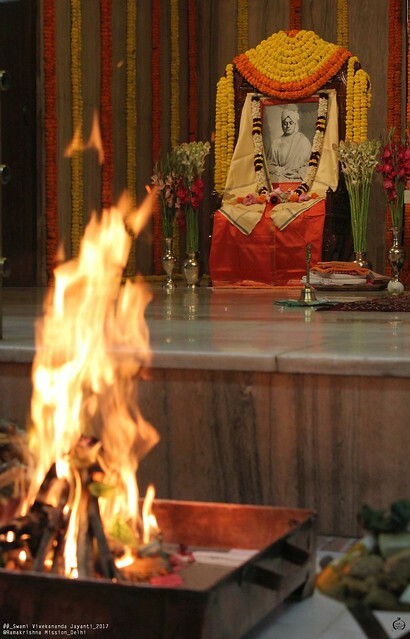 Madhurachaitanyaji under the guidance of Swami Amritapurnanandaji. 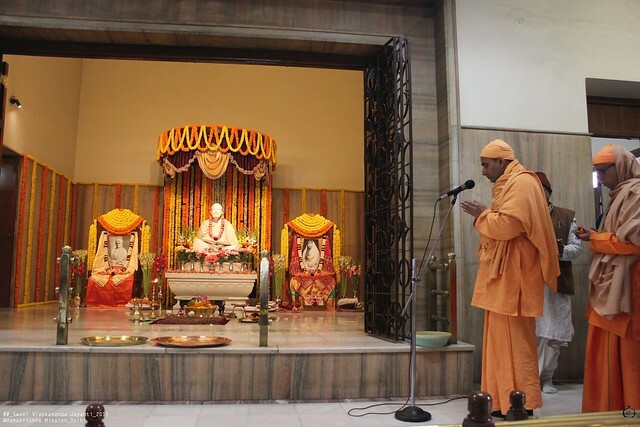 Chandipath was simultaneously done by Swami Swasamvedyanandaji Maharaj (Janardhana Maharaj) at the Shayan Ghar of Sri Sri Thakur and Ma in the Temple.The bhajans and a few devotional songs were rendered on Swamiji when puja started. 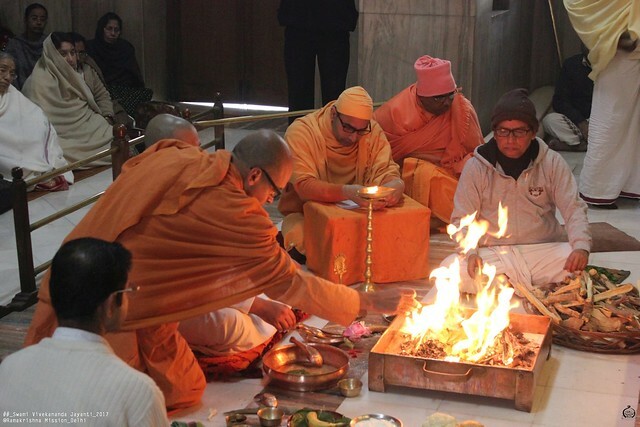 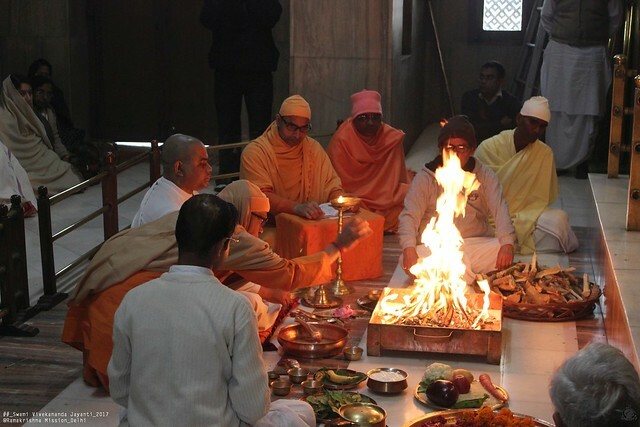 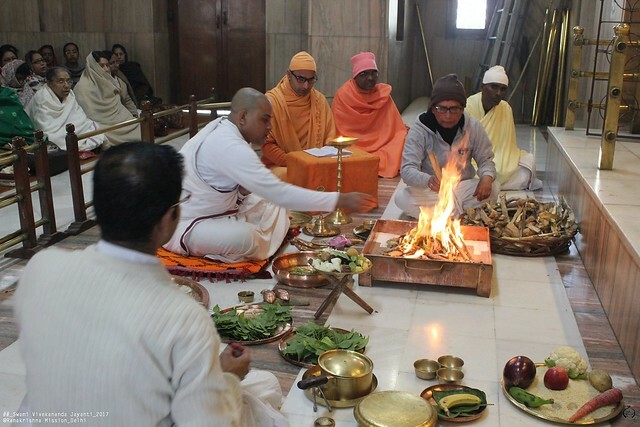 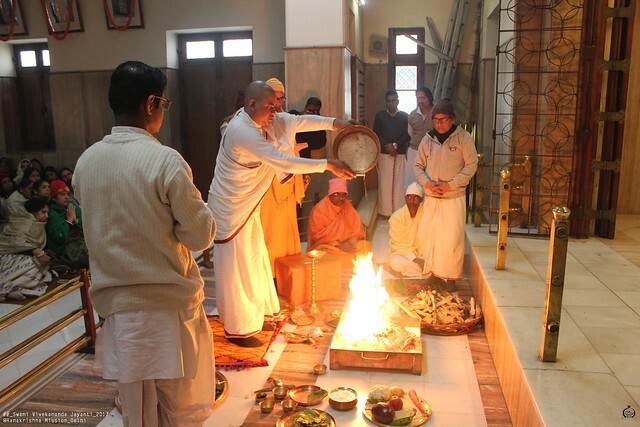 Homa was performed by Br. 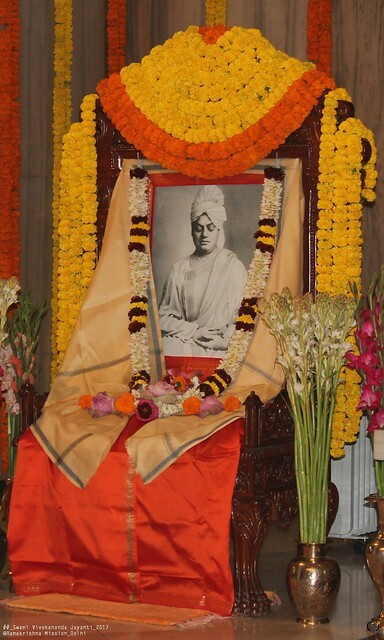 Madhurachaitanyaji with Swami Amritapurnanandaji Maharaj as Tantradharak. 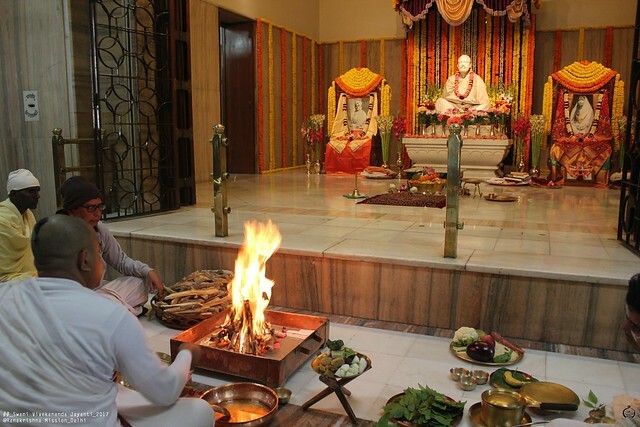 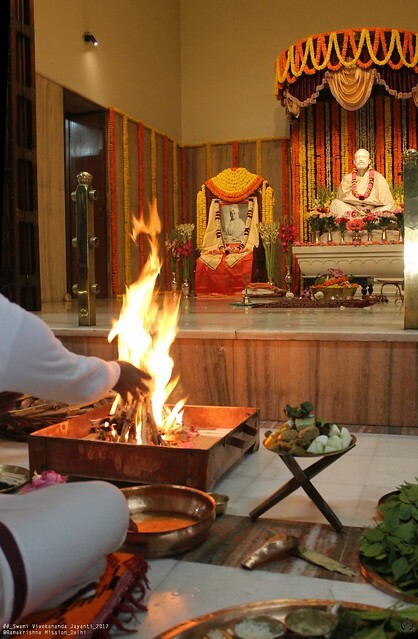 After homa was over, Pushpanjali started with the mantra administered by Revered Amritapurnanandaji Maharaj. 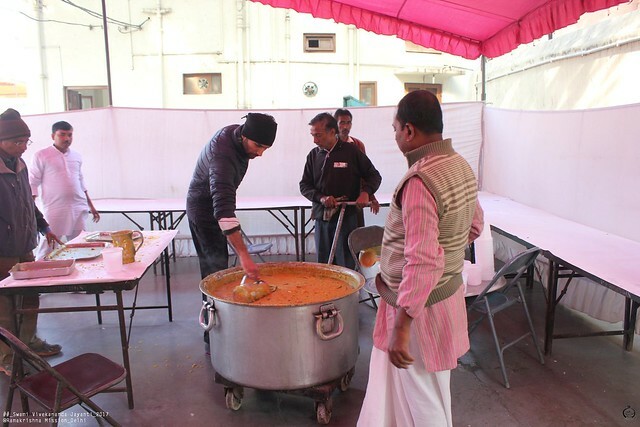 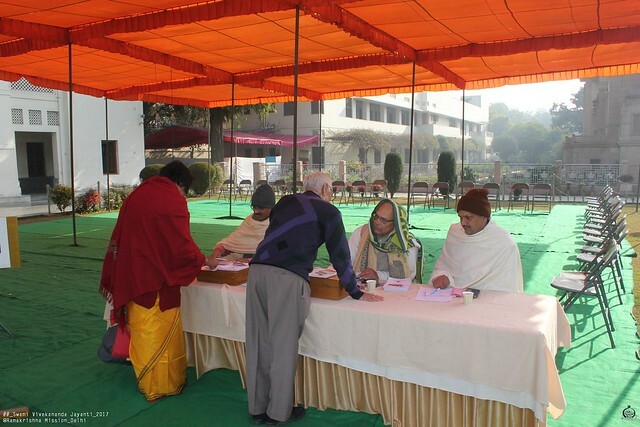 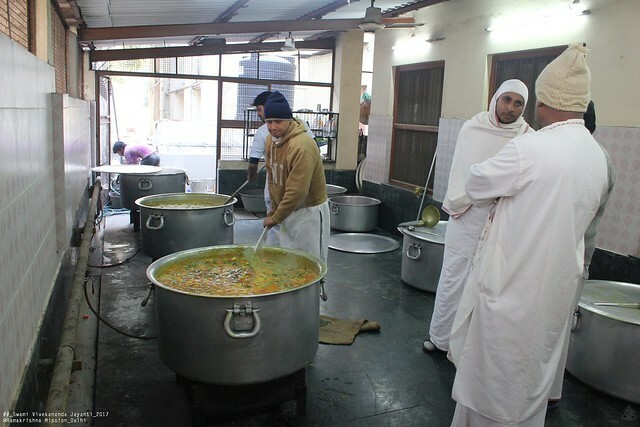 Afterwards khichuri prasad was distributed to people and about 100 persons including monastics, volunteers and devotees took prasad sitting in the dining hall.